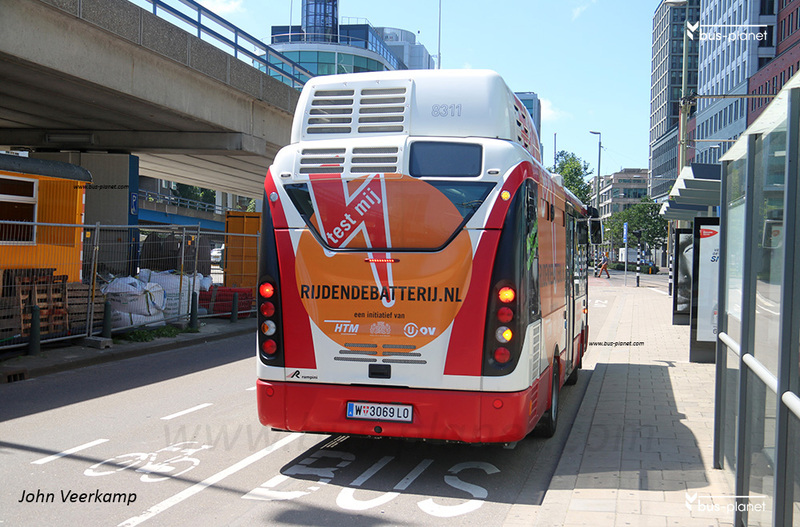 Den Haag test een elektrische bus die de elektriciteit vanuit het tramnetwerk kan betrekken. Zie de website en het persbericht voor meer informatie in het Nederlands. 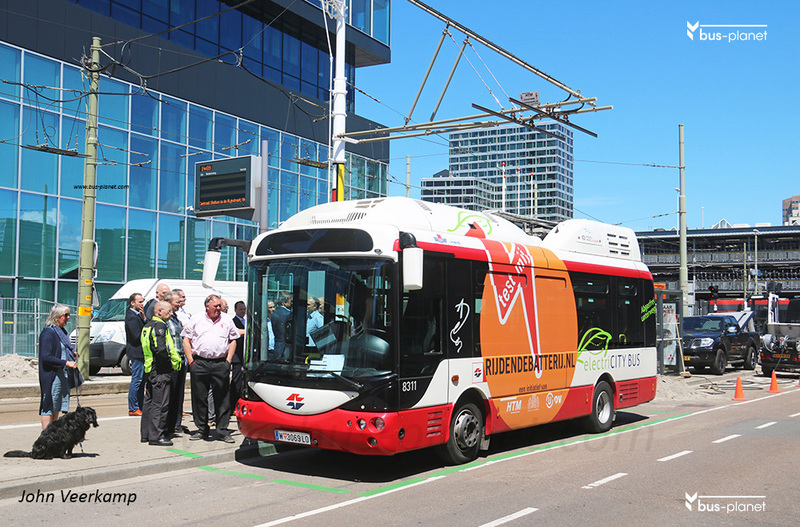 The Hague and Utrecht are testing an elektric bus that can draw its electricty from the tram power supply. This website provides more info in Dutch, a press release has been translated (below). 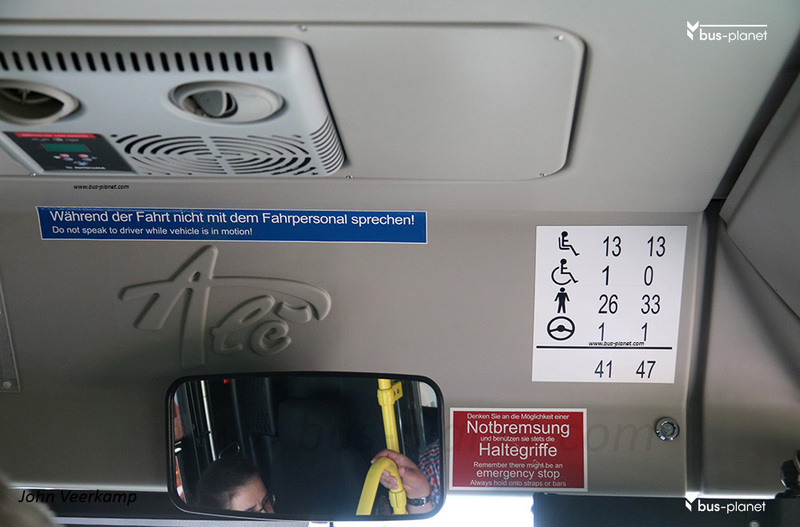 A full description of the bus is given in this folder / een volledige beschrijving van de bus in deze folder. 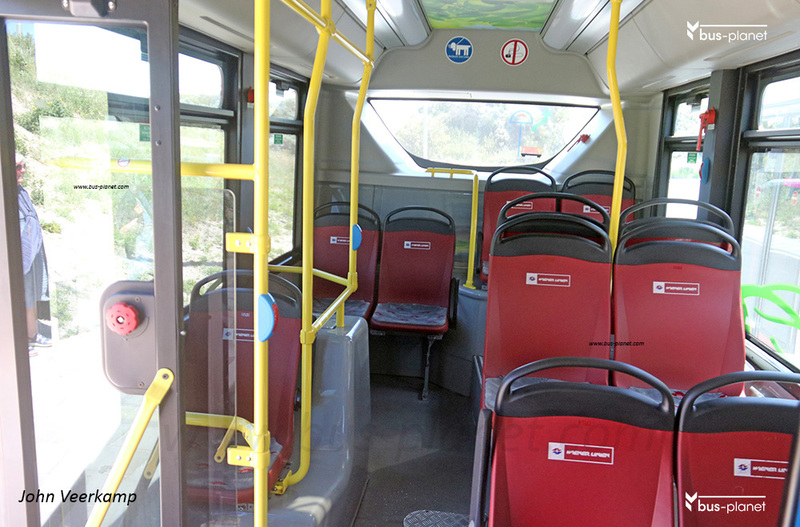 The bus has been borrowed from Wiener Linien, Vienna, Austria. 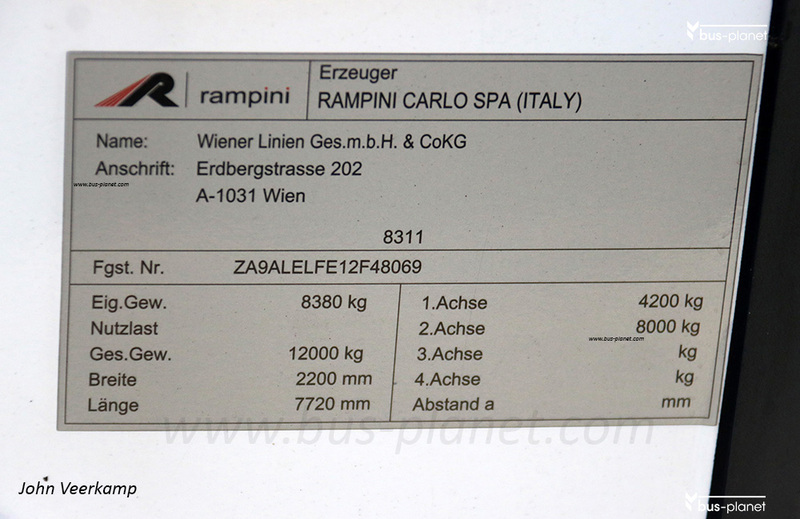 It is their number 8311, an Italian built Rampini ALE-EL with a Siemens electrical installation. Vienna has been using these buses on two routes since 2012. 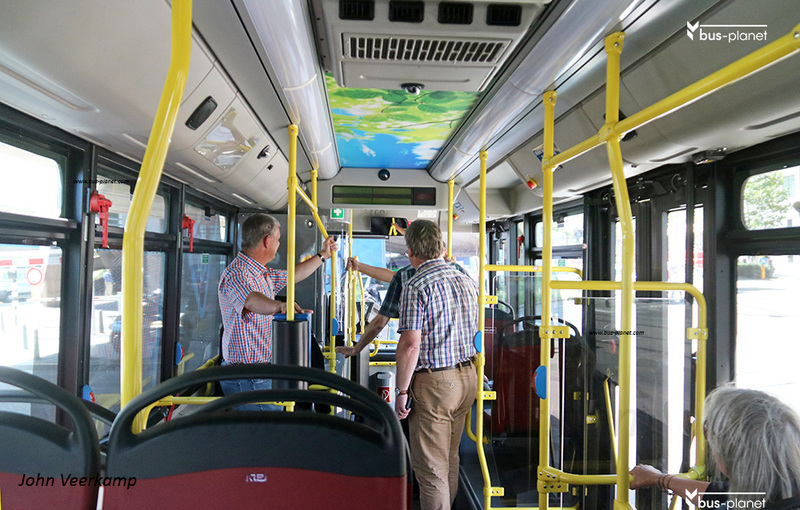 Bus 8311 has been demonstrated in Krakow, Poland, in 2015, as stickers on the roofline show. 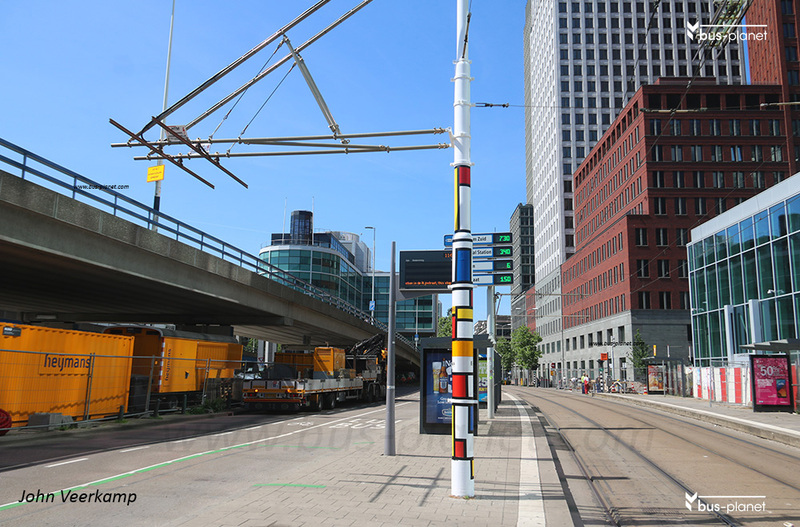 On 29th May, 2017, The Hague launched a test with an innovative form of future public transport that has not yet been shown in the Netherlands. 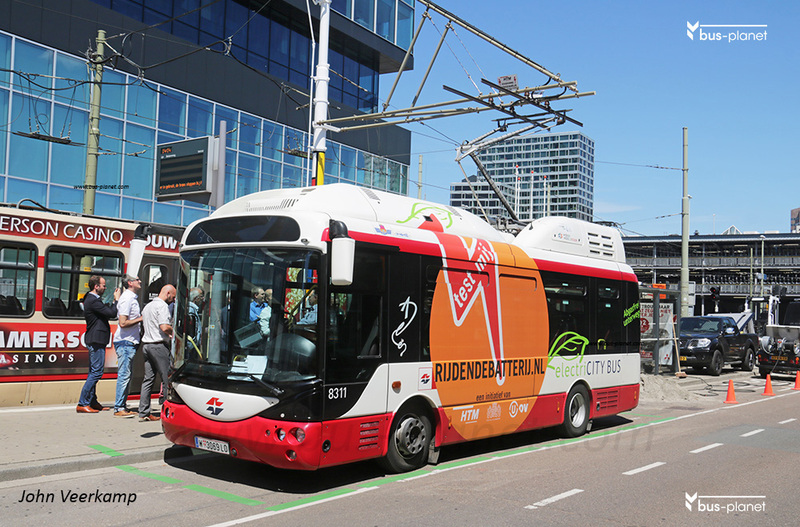 The Hague public transport company HTM and the province of Utrecht, in cooperation with the Utrecht transport operator U-OV (Qbuzz), introduced the “rijdendebatterij.nl” (moving battery) – an electric bus that is rapidly charging close to tram overhead wires. 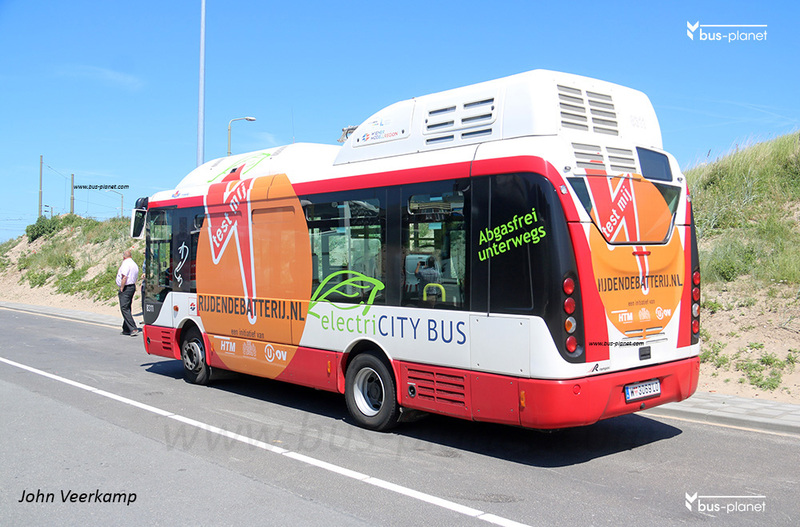 This unique form of electric bus transport can be introduced relatively quickly, as the existing tram electricity supply network is used. In this way, less public money is required for the smooth implementation of emission-free public transport. The Hague and Utrecht are ideally suited for an experiment with this eBus because a suitable tram network is available in these cities. 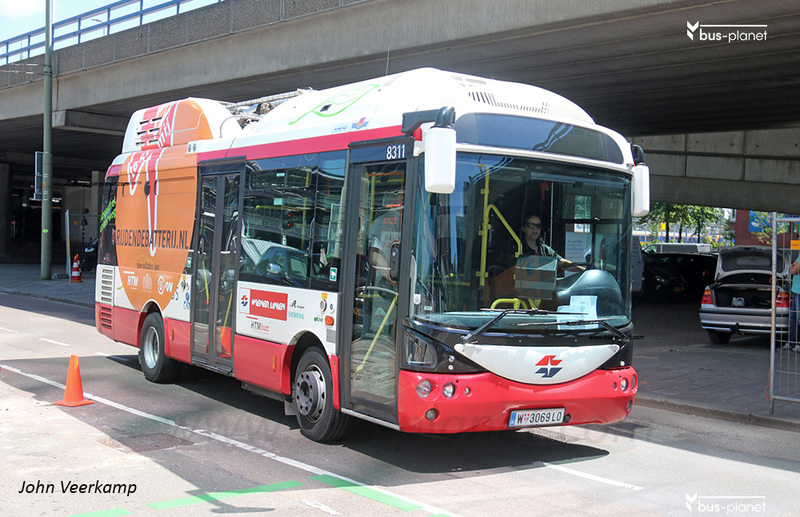 In addition, HTM, the province of Utrecht and U-OV (Qbuzz) share the ambition of sustaining public transport with the use of emission-free buses. This is urgent because air quality in inner cities is under pressure due to the emissions of motorized traffic. To make this modern eBus available to the traveler, no high investment and long construction time are required for special charging stations, as is normally required for electric bus transportation. 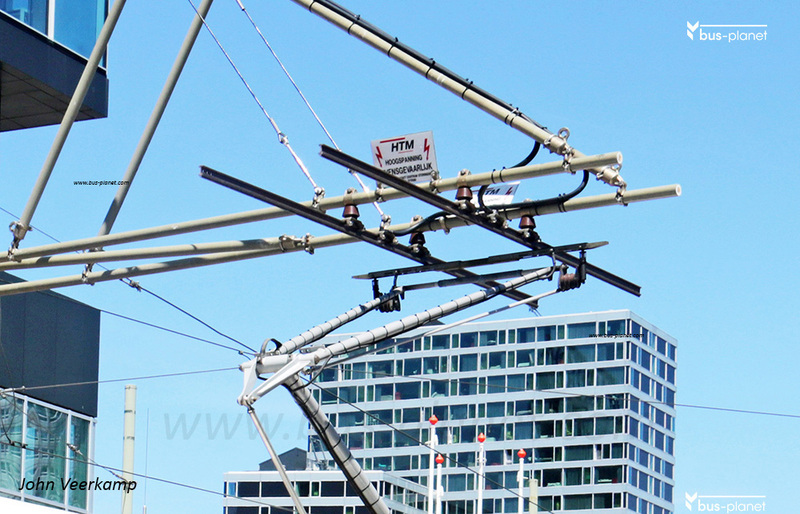 The eBus is provided with a pantograph that draws the required power within a few minutes off a loading station that can be quickly realized near the tram network. Unlike trolley buses, the vehicle is not dependent on the overhead line because a battery pack is built into the vehicle. This battery and charging technology developed by the Siemens technology company guarantees a capacity of 98kWh and an action range of about 50 kilometers. When loading, the bus can use the excess brake power that trams returnn to the overhead wiring. 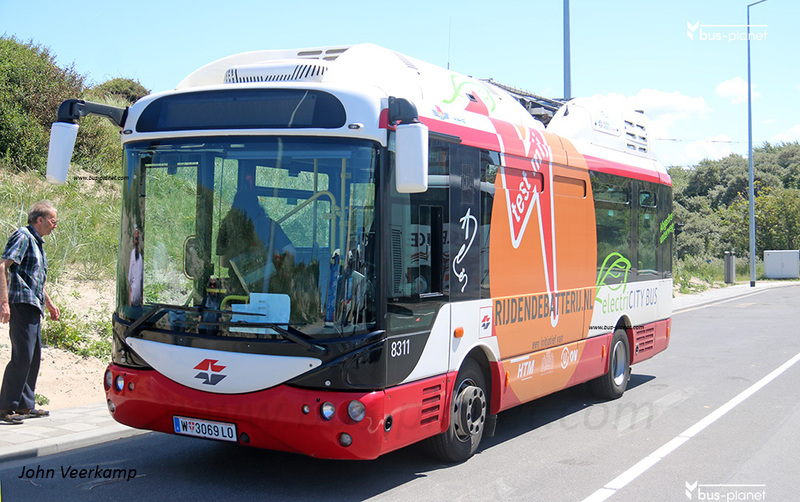 Both trams and buses benefit better from the available energy in this way. The result is a remarkably quiet, sustainable and energy efficient eBus. Test and trials in The Hague and Utrecht. 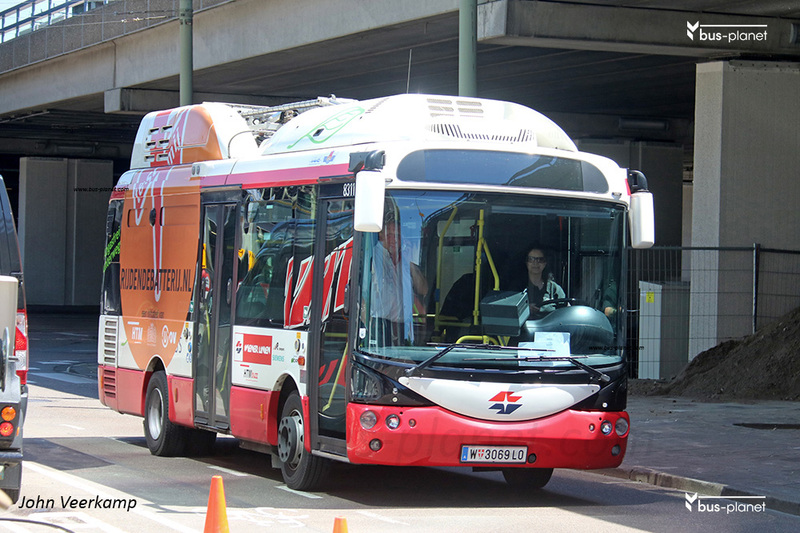 HTM, the province of Utrecht and U-OV (Qbuzz) have brought an eBus of this type from Wiener Linien in Vienna, where these vehicles have been deployed on two city lines since 2012. 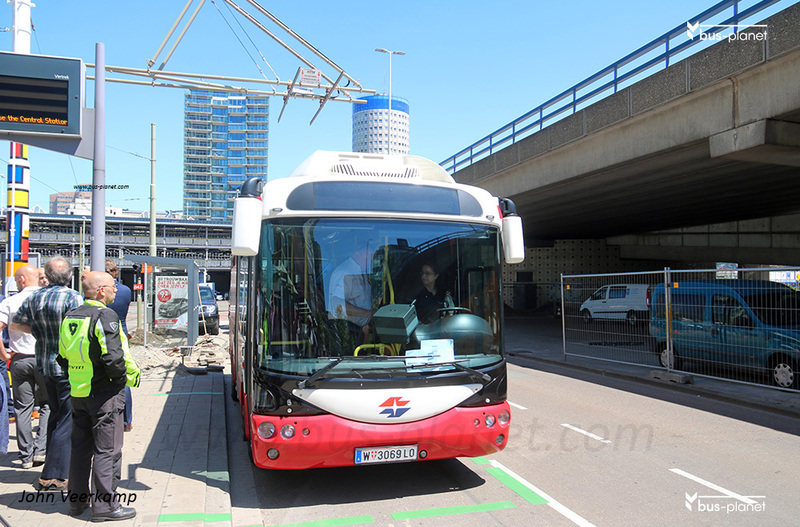 In The Hague the bus is tested among others on the route between The Hague Central Station and Scheveningen. The trial then moves to Utrecht, where U-OV (Qbuzz) uses this eBus between 19-30 June 2017 on the inner city service route 2 (Museum Line). Travelers can experience the use of this particular vehicle during this period. The test with the “movingbattery.nl” fits well with the joint ambitions of HTM, the province of Utrecht and U-OV (Qbuzz) in the field of sustainable public transport. HTM has announced that the zero emission path will be gradually deployed as of the new concession period starting in 2019. Utrecht has been using electric buses on line 2. From August 2017, another ten new electric buses will start driving between Overvecht and Hoograven. 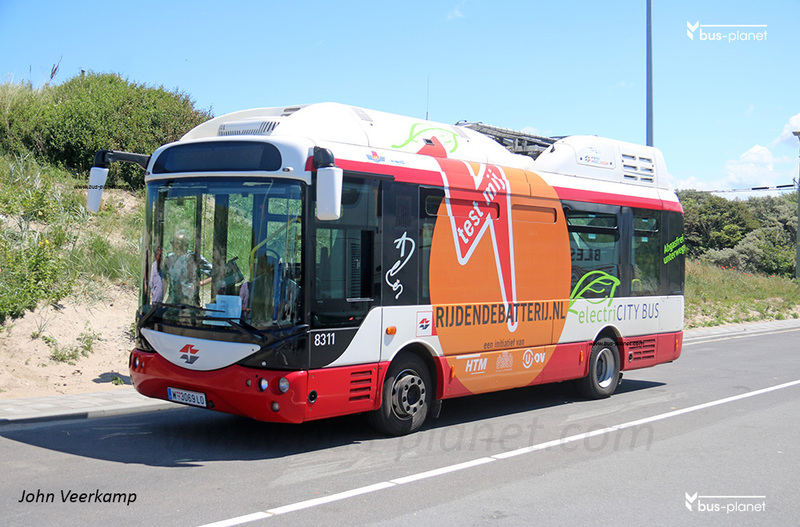 The province of Utrecht wants to operate from 2024 onwards with 100% environmentally friendly buses that have no emissions. 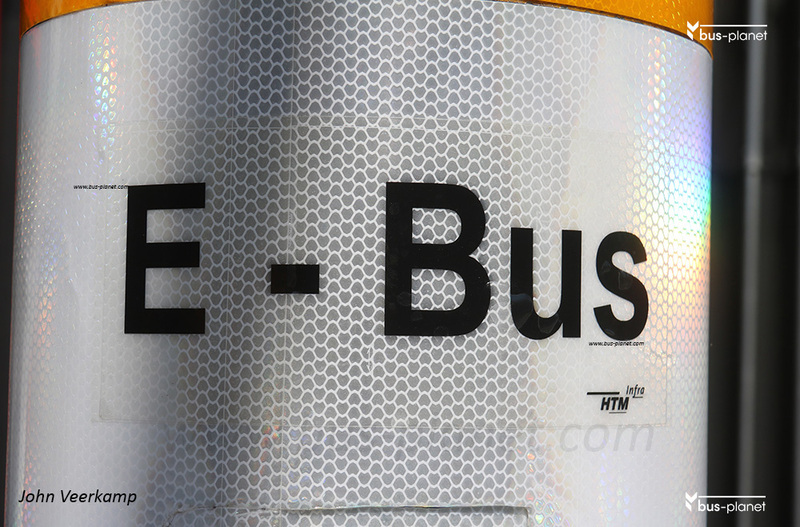 The experiences with the eBus from Vienna will also be used by the province to prepare for a replacement of a portion of the U-OV bus fleet from 2019.